When it comes to smart home tech, the majority of us usually think of Alexa, smart TVs and (perhaps) robotic vacuums, but what about a piece of smart home tech that could help you winter-proof your pipes? With ever increasingly frosty mornings upon us, the risk of pipes freezing (and then subsequently bursting) has become increasingly possible. Enter the Grohe Sense and Sense Guard, a unique system which is designed to prevent pipes from freezing; saving time, money and stress in the long run. The Grohe Sense smart sensors are designed to monitor changes in humidity, detecting leaks in key places throughout the home – think under the sink, near appliances and in the bathroom. Having detected an issue, the smart sensors are programmed to deliver a notification straight to your smart phone, allowing you to take action as soon as possible. 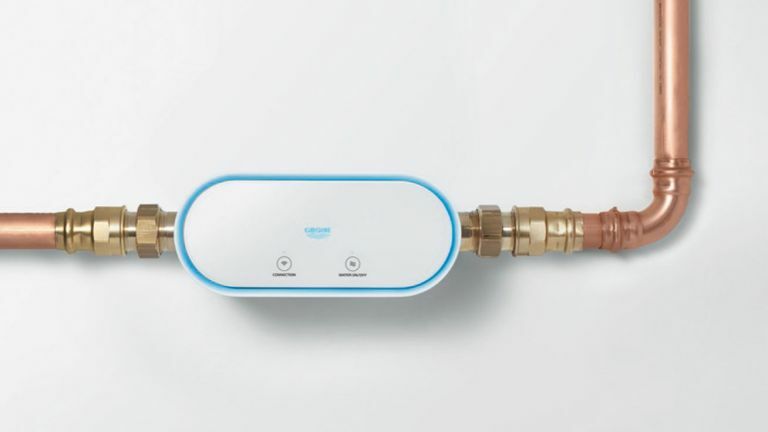 If installed onto a mains water pipe, this handy system also allows you to remotely switch off your water supply, preventing any further damage from occurring. Don't have your phone at hand throughout the day? The sensors can also be programmed to detect burst pipes and automatically turn off the water supply. In terms of preventing frozen pipes, Sense Guard is a clever addition that monitors frost risk by assessing the temperature of incoming water. And as a further boost, it's also possible to use the sensor to monitor your home's water consumption, allowing you to make changes and save water (and money) in the long run. Looking for more smart home tech news?